Our standard bed frame is easily assembled in just minutes for twin and full mattress sets. 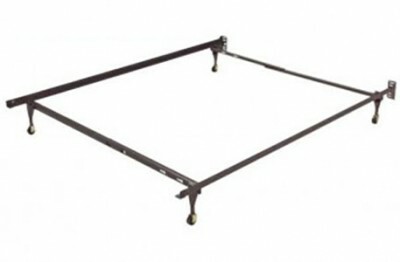 An easily adjustable bed frame with extra center support for queen and king mattress sets. No tools are required and is easily assembled in minutes. Easy assembly. Adjustable with no tools required. Additional steel for stronger support. Glides for sturdy support. (King has 6 Glides / Queen has 5 Glides) Center support only for King and Queen.